Sesto Elemento series will be limited to under 12 units. The ultra-supercar features a naturally-aspirated 5.2 liter V10 engine with 570 PS (419 kW / 562 bhp) and a curb weight of just 999 kg. Lamborghini has given the greenlight to the Sesto Elemento (Sixth Element) for a limited series production, according to the reputable French automotive program Auto Moto's website. But it will be a very limited series - between 7 and 10 exemplars will be built. The Sesto Elemento debuted at the Paris auto show with a very impressive, if seemingly excessive, concept show car which featured a naturally-aspirated 5.2 liter V10 engine from the LP 570-4 Superleggera with 570 PS (419 kW / 562 bhp). The car has a curb weight of just 999 kg due to its extensive use of carbon and carbon-fiber reinforced plastics which includes a carbon-fiber monocoque structure. The Sesto Elemento comes with a permanent all-wheel drive transmission and a power-to-weight ratio of 1.75 kilograms per horsepower. The 0 to 100 km/h (0-62 mph) sprint time clocks in at 2.5 seconds, while top speed will be well above 300 km/h (186 mph) - reported as 350 km/h (217.5 mph) prior to the Paris unveiling. 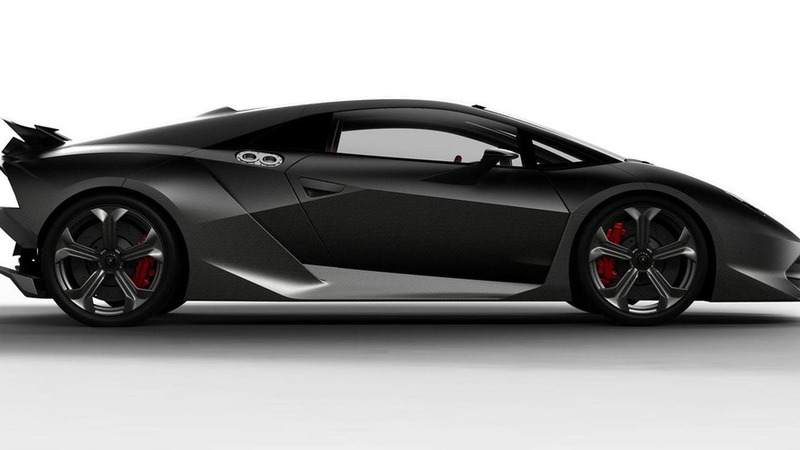 The Lamborghini Sesto Elemento will be priced at around €2.5 million/$3.44 million/£2.15 million.